Knowing and understanding the different security alarm system terms and definitions can help you determine what is most suitable for your family and home. Here are some basic security alarm systems terms that you should know. Panel – The panel is the metal box that holds together the circuit board of the alarm system. In addition, it also holds the backup battery that works to power your alarm in case there is a blackout. This is typically installed in the basement near the circuit panel and telephone demarcation point. If you live in an apartment or condo it will be installed in a closet. Keypad – This is where you will be able to enter your code in order to arm or disarm the system. 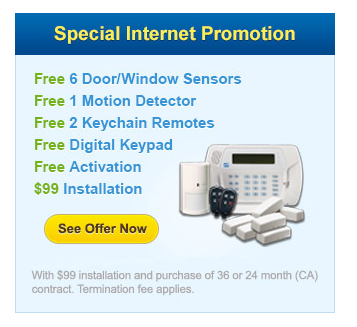 The keypad will be used a great deal by the installer in order to properly program the alarm. Zone – In order to easily separate the different devices, your security system has, there are different zones labeled throughout your home. There will be different areas labeled based off of the zones in order to help you identify what light you want to turn on as well as to help the monitoring station know where the problem is that triggered the alarm. Typically, you will find alarm panels start with 6 to 8 zones and can be expanded. User code, Master code, Installer code – A user code gives you complete control over your system as you can arm or disarm the system at any time. The master code allows you to turn the alarm on and off as well as program or erase a regular user code. A master code also gives you the opportunity to bypass certain devices. Finally, the installer code gives your alarm technician complete access to program the system during installation. Away arming – If you turn your alarm system on, all perimeter devices and indoor devices will be activated. You will want to use this feature when you are away from your home or not in the house. Stay arming – The opposite of away arming is stay arming in which only the perimeter devices are activated and not the interior devices. You can do what you want with the system under this feature without tripping the motion sensors. Hard wired – All of the devices you opt to have installed in your home are attached, or hard wired, to the panel in your basement. When hard wired, the device is much more secure and reliable than one that is not attached. Pre-wired – This is something many new home builders offer. It is essentially wiring that is run through the home in case future homeowners want to install an alarm system. 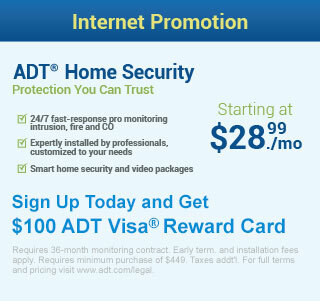 If your home is prewired you will find a number of alarm companies offer small discounts. Still, free alarm system companies prefer to use wireless equipment as it is cheaper for them in labor to install the system. Wireless receiver and wireless devices – Your wireless receiver is attached to the panel and works to communicate with any wireless device throughout your home such as a motion sensor or door sensor. All wireless devices do require batteries, which can present a negative effect on the performance of the alarm. You may find that only an official technician can replace the batteries for you. Hybrid – Any system that uses wireless devices and hard-wired devices is known as a hybrid. This is used in homes with two stories so that the first-floor consists of hardwired devices and the second is wireless. Whenever possible, try to stick with hard wired systems as it is much more reliable. Line Seizure – This term means that your alarm panel will cut off secondary devices in order to send a signal to the central monitoring station efficiently. The alarm system always has priority over other lines. Cellular monitoring – If your main phone line does not signal through, the alarm system will automatically switch to the cellular transmitter and make a phone call to the monitoring station through a cell phone. Although it is not 100% effective it is still quite reliable. Radio monitoring – As with cellular monitoring, this feature uses radio waves as a backup signal. Only the most basic information will be sent typically the monitoring company will not even know which device is sending the signal. Although it does cost less than cellular monitoring, it is also less effective. VOIP monitoring – VOIP stands for voice over internet protocol. This uses the broadband internet connection in your home to place voice calls over IP-based networks. Typically, you can get this service by paying a monthly fee for local and long distance calls. VOIP and alarm systems do have their problems you need to be aware of. What you need to understand is that an alarm system is designed to send signals over an analog phone line. To properly send emergency signals with VOIP, the signal must first be altered to digital and then converted again to analog. There are times when the signals will arrive at the central monitoring station with errors after going through the conversion process. Another problem with VOIP and alarm systems is that the alarm panel is equipped with a backup power supply to work during power failures. While traditional phone lines will work when the power is out, your monitoring station will be able to receive the right signals. On the other hand, with VOIP your phone service will not function correctly during a power failure thus preventing signal transmission from the alarm to the monitoring station. From there, the next problem is that VOIP services can become victims of “mysterious” technical issues and dropped calls. If your alarm panel is communicating data to the monitoring station, a dropped call will conflict with this. The last problem to be wary of is that your VOIP line can be cut or disabled by an intruder. This completely eliminates any link you may have to the monitoring station. With that said, you are probably wondering what researchers are doing in order to make VOIP and alarm systems more attuned. Manufacturers are constantly working with alarm companies in order to correct the problems mentioned above. Until the problems are corrected, you can use cellular or radio monitoring for the primary method of transmitting your alarm signals. Own – Back to some terms you need to know, own is an arrangement where you will pay for the alarm and installation in order to own the equipment outright. In doing so, you can choose who services and monitors the system for you. This will certainly add value to your home in the long-run. Rent or lease – If you rent or lease the equipment, you must pay a monthly fee for the monitoring of the alarm. Unfortunately, you will not own the system and cannot choose who monitors or services it. It is much better to own the system, but there may be some instances where it is best to rent it. Partition – When splitting your alarm system in two or more partitions, you can arm and disarming each area separately while still using only one phone line and paying only one monitoring fee. This is the ideal option for small businesses and it is sometimes used in residential settings. Each partition can have its own keypad or you can opt to have one keypad for al of the partitions. Expand, expandable, expansion module – Expandable alarm systems start out with a fixed number of zones and can then be expanded over time simply by adding an expansion module allowing for more zones. This allows you to have the ability to hold more devices without paying a hefty price. Typically, systems start out with 6 or 8 zones and can then be expanded in increments of 8. This is a feature that not all models of alarm panels offer. Make sure the alarm panel you have is capable of including this feature.